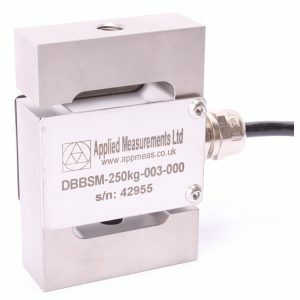 Ideal in Multi-Point Lifting Applications – up to 100 load cells! The SLC24 bow type wireless load shackle series are specially designed for cable-free lifting and weighing applications. They have up to 200 hours of battery life and can transmit data up to 120 metres away. To ensure optimum transmission range the externally sealed aerial can be rotated. The shackles are manufactured using the Crosby™ G2130 (12 to 25 tonne) and G2140 (40 to 400 tonne) shackles. The SLC24 bow type wireless load shackles are constructed from high tensile carbon steel and come with an IP67 protection rating for submersion up to 1 metre in water, making them ideal for both rugged and harsh environments. Power is supplied by two AAA NiMh batteries which can be recharged using the supplied universal charger. And thanks to the units no-tool opening housing, battery changing is quick and easy to do on-site. For a complete load monitoring system, the SLC24 bow type wireless load shackle is supplied with a T24-HS simple handheld battery powered display. This 8 digit display is for use with a single telemetry acquisition module. For multiple acquisition modules we can offer a T24-HA advanced handheld telemetry display for 12 separate inputs. If you need more inputs we can offer a PC-based monitoring system capable of monitoring and recording live data from up to 100 load shackles simultaneously!